When your company operates globally, this typically means needing to manage multiple websites for multiple countries in multiple languages. This can obviously be a considerable challenge, especially when you’re always trying to find ways to optimize your website experience. How visitors experience your website might differ from market to market. But unless you ask them directly, you’ll never really know. That’s why it’s crucial you conduct Voice of the Customer (VoC) research in each of your markets so you can get a constant view of how visitors all over the world experience your website. Whether you want a broad understanding of how your visitors’ website satisfaction differs worldwide, or to better understand what a specific visitor group in one market likes or dislikes about your website, your visitors’ feedback should be the fuel you use to drive your company’s global website optimization efforts. Launching a global VoC campaign can seem like a daunting task, but with the right VoC provider, it doesn’t have to be. In this post, we look at 7 things to look for in a VoC provider when you want to seamlessly and efficiently launch a global VoC campaign. Launching a VoC campaign on your websites will always require you to implement code on your website. And since you’re launching a VoC campaign globally, it’s possible that you’re working with IT departments across the world. This script should be “plug and play”. You should not need to customize the script for it to work. On that note, as you start collecting insights with your global VoC campaign, you’ll want to keep evolving your research so that it stays closely aligned to your research objectives. However, as discussed above, managing a global VoC campaign can sometimes mean working with different IT departments. Not require you to update the implementation code when you want to launch new research projects. Your research objectives might differ from market to market. You might only want to gain a broad understanding of your visitors’ overall satisfaction, and how it differs from market to market. But in some specific markets, you might want to get more granular and learn more about a specific subset of visitors (e.g. First Time Visitors, those who accessed a specific page on your website or used a new tool on your website, etc.). Put yourself in your visitors’ shoes. After agreeing to take a couple of minutes out of your busy day to share feedback on your website experience, the last thing you want is for your feedback experience to be clumsy, and lead you to drop out in frustration. This is especially important when you start considering how your visitors’ experience can differ based on the device they use. 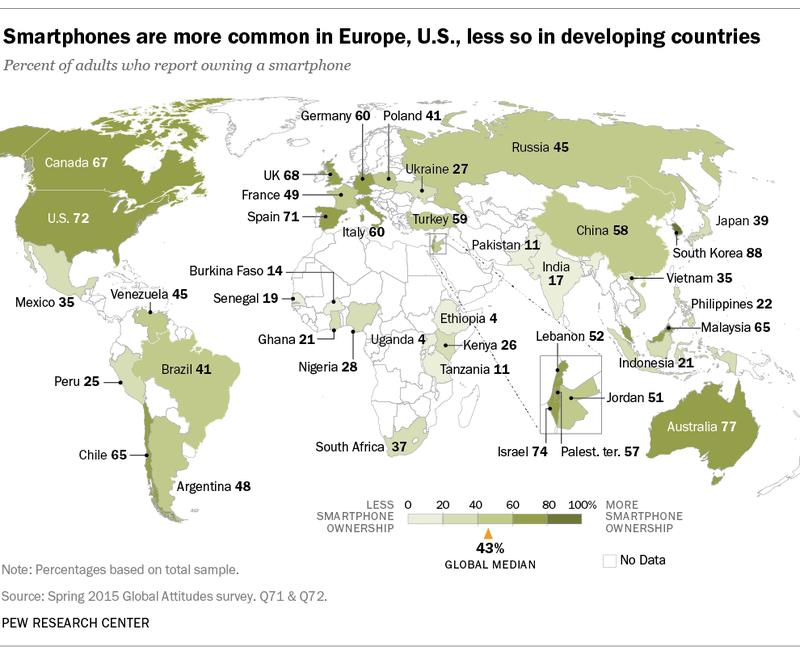 According to the Pew Research Center, smartphone ownership in the US, Canada, Australia and South Korea is very high, but is comparatively low in Japan and Mexico. A global VoC campaign means that you will collect a lot of responses from many different countries. That can sound like a daunting task, especially if there is not an easy way for you to access, filter and analyze this data. Each of the countries and regions in which you plan to conduct VoC research may have their own set of security and privacy guidelines that you need to follow. For example, websites in the European Union need to inform their visitors that cookies are being used to gather information about their session. Before committing to a VoC solution provider for your global campaign, it’s recommended to confirm with them that the solutions they offer meets these guidelines, and to discuss any potential concerns that you may have with regards to this topic. Running a survey on 1 website is one thing, but running a global VoC program across multiple websites, in different languages, working with different teams, across various brands is a completely different beast all together. This is why you need a VoC provider that not only has experience running these types of programs but has the capabilities to run them. At iperecptions, we have over 15 years of experience running global VoC programs for some of the world’s largest and most respected brands, and we offer a platform that is ready-made for global VoC programs that makes it a pleasant experience for you to create, launch, manage and analyze a global VoC campaign, despite its potentially large scope.